The story of Disc-O-Bed® is one of passion, determination, sacrifice, and – above all – family. Even though our story is rooted in Africa, it’s really the American dream come true. 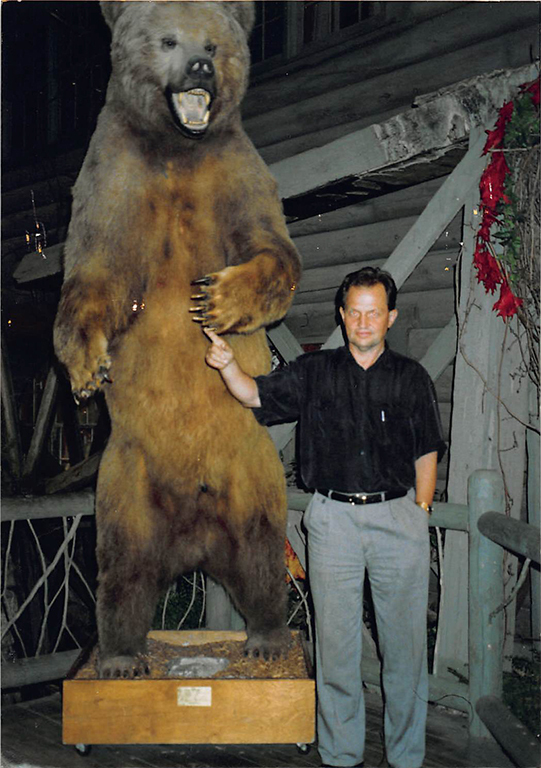 Having grown up orphaned in war-torn East Germany, my dad (Hans) knew what hardship was about. 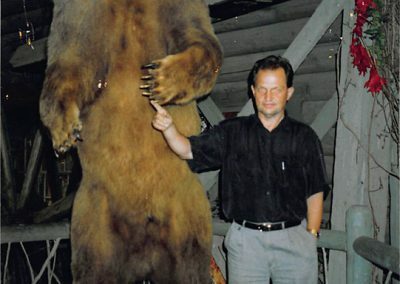 Risktaker and entrepreneur by heart, he was not going to make his unconventional ways stand between him and success. South Africa became the land of opportunity and that too is where he met mom (Barbara), who today, at nearly 70 years young is still part of the business and, truth be told, is the “glue that holds us all together”. 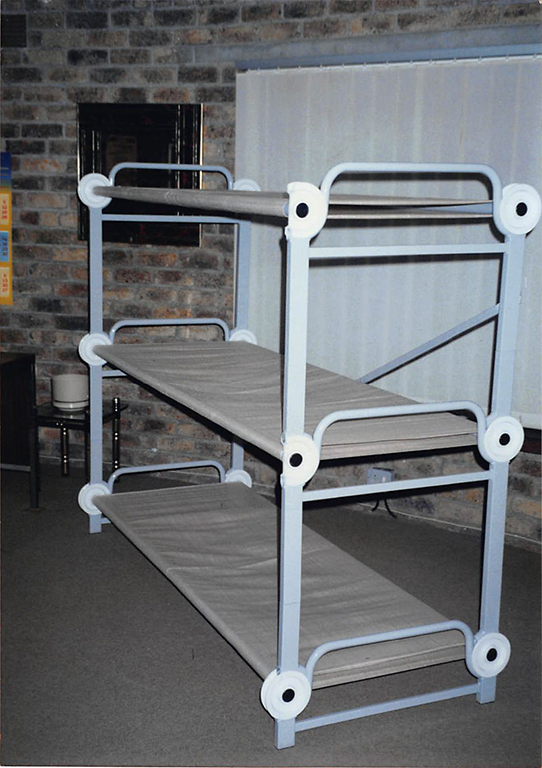 It was in 1988 that dad came up with the idea of stacking two cots to help save space. 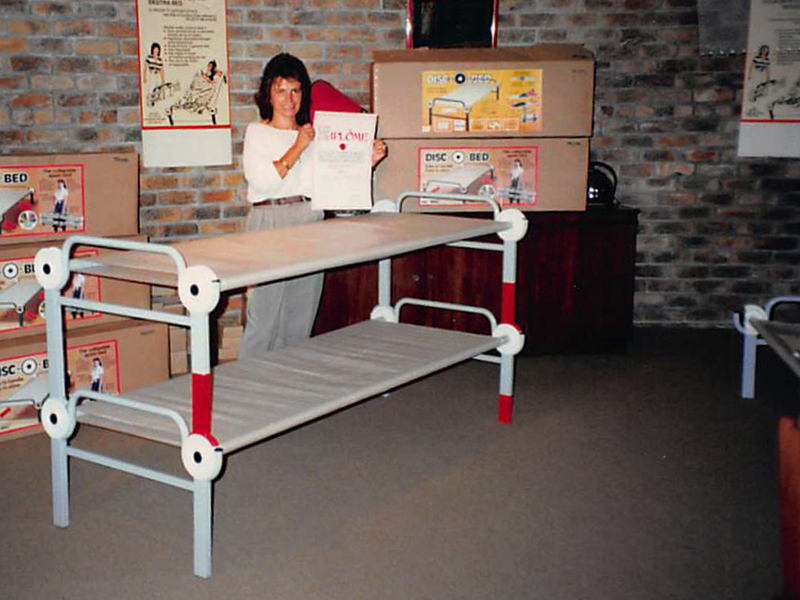 Interestingly enough, his original blueprint does not deviate much from where the Disc-O-Bed® is today. Working from a small home office, he patented the disc design and used the family savings to bring it to life. The early years were hard. Leaving home and two kids, my parents traveled all over the world for months at a time, sacrificing everything they had in the belief of making it a success. 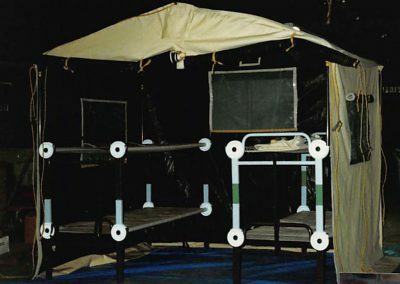 Finally, ten years later, the big break did come from the German Red Cross who ordered 15,000 bunks for the Kosovo War. A civil engineer by trade, my brother Richard saw the potential of this small family business and decided to join. 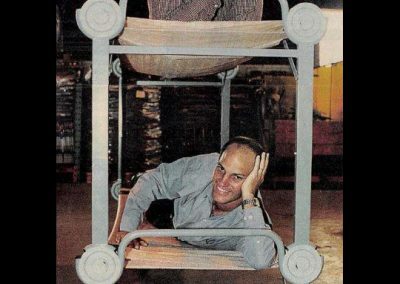 The factory was manufacturing product at the time and his engineering insight proved to be of great value. The taste of success was just becoming a reality when dad suddenly passed away in 2000. Our family was now only three strong but, as devastated as we were, my mom and brother were determined to carry on dad’s legacy. With fresh ideas and a willingness to continue on the foundation that was laid, my now-husband, Douglas, joined the Disc-O-Bed® team. 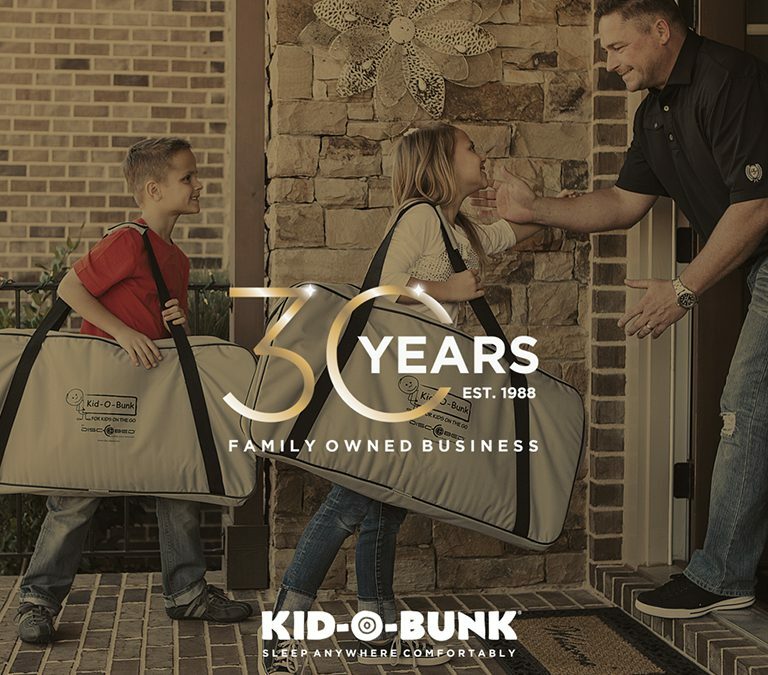 It took some getting used to, but Rich and Doug put the challenges of a family-run business aside and forged a formidable team as business partners, brothers-in-law and best friends. It was the U.S. military who put the “American” in our American dream. An army corporal noticed us at a retail show and introduced us to the top brass. 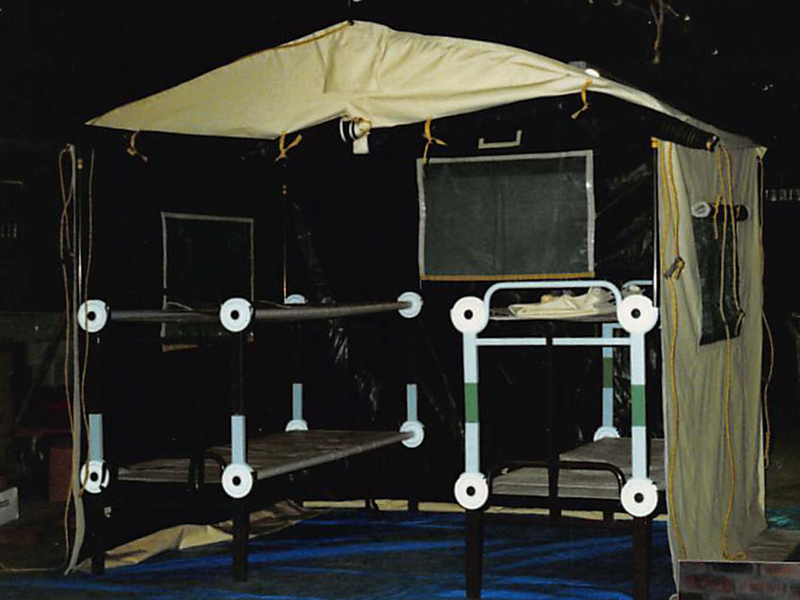 Since then over 100,000 Disc-O-Bed®s have been placed on bases around the world. 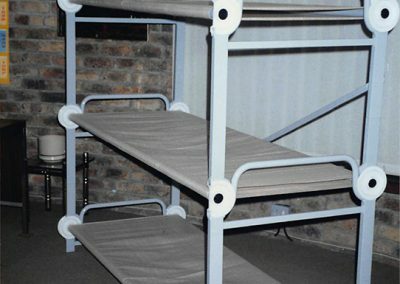 In early 2004, they insisted our bunkable cot system be American-made. With little to no time to give it much thought, I gave up my own company. Doug and I and our little “peanut” growing in my tummy set off for the USA. 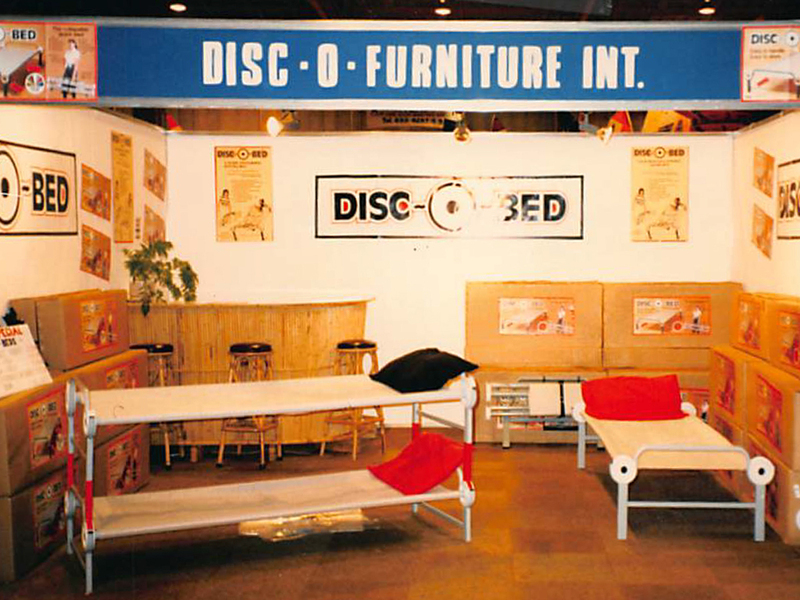 Atlanta became our home and ultimately the Disc-O-Bed® headquarters. 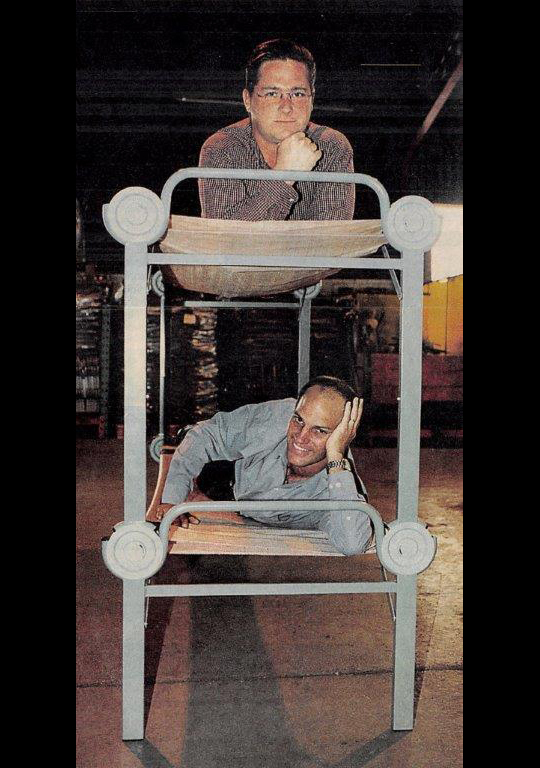 This year we celebrate our 30th year since those humble beginnings. 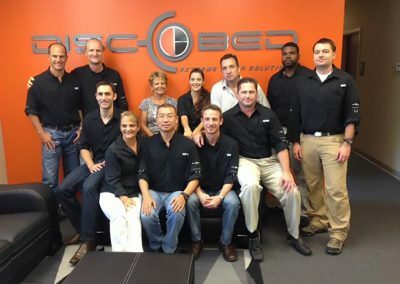 We value our global partners and are proud of the offices and production in Germany, China, South Africa and the U.S. They together with all our staff are now an extension of that small family that once was. As the company continues to grow, one thing remains constant: Our humbled, tight-knit family that is built on unity and mutual respect. 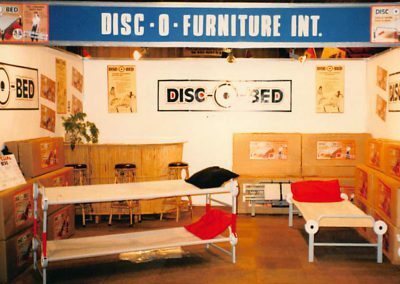 As we fulfill our individual roles within the Disc-O-Bed® team, we cannot help but think that our history is not owned, it is simply preserved for the next generation.